What a difference a couple of sunny days makes! So ok it wasn’t exactly warm, but at least there were blue skies and the sun came out for a bit. In response we’ve had a really active couple of days, cramming lots of family activities in. 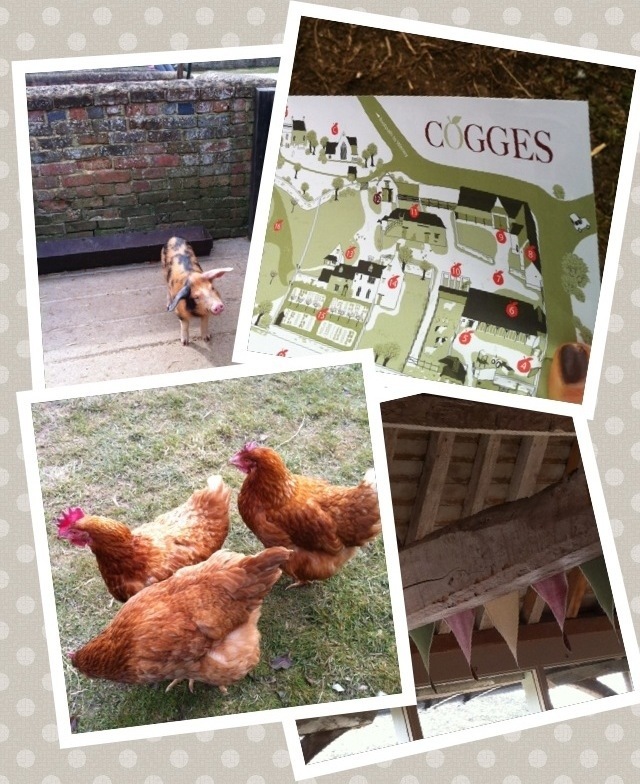 Today we went to Cogges Farm – literally 2 minutes walk away from our house. Saved from an uncertain future, Cogges was reopened in 2011 handily while I was on maternity leave. I even helped train some of the volunteers. Recently opened for the 2013 season, there has been much changed over the Winter, with an indoor soft play area, plenty of animals to see (and feed carrots to – Elliot’s favourite thing today, I think!) and an adventure playground taking shape in the grounds, delayed by the annoying weather, but not far from completion. We spent ages there and treated ourselves to coffee and cake in the cafe afterwards – very well recommended! It was fantastic to be out and about and I can’t wait to take Elliot back again and again over the next few months. Cogges is a brilliant place to take children and staffed by the friendliest group of people – one even took us in to see baby chickens and let us hold and stroke them! We got season tickets – at £15 each they’re really reasonable! 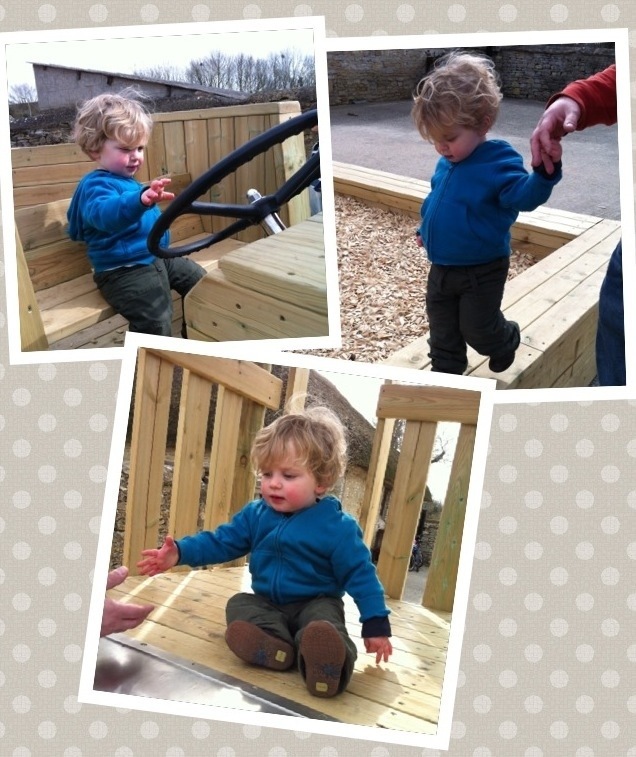 Elliot loved the wooden tractor and slide outside the cafe too! N.B. this is not a sponsored post, I just had such a nice time and wanted to recommend it! This entry was posted in Elliot, Family, Fun and tagged animals, Cogges, day out, farm. Bookmark the permalink.